Need an appetizer for your next party? 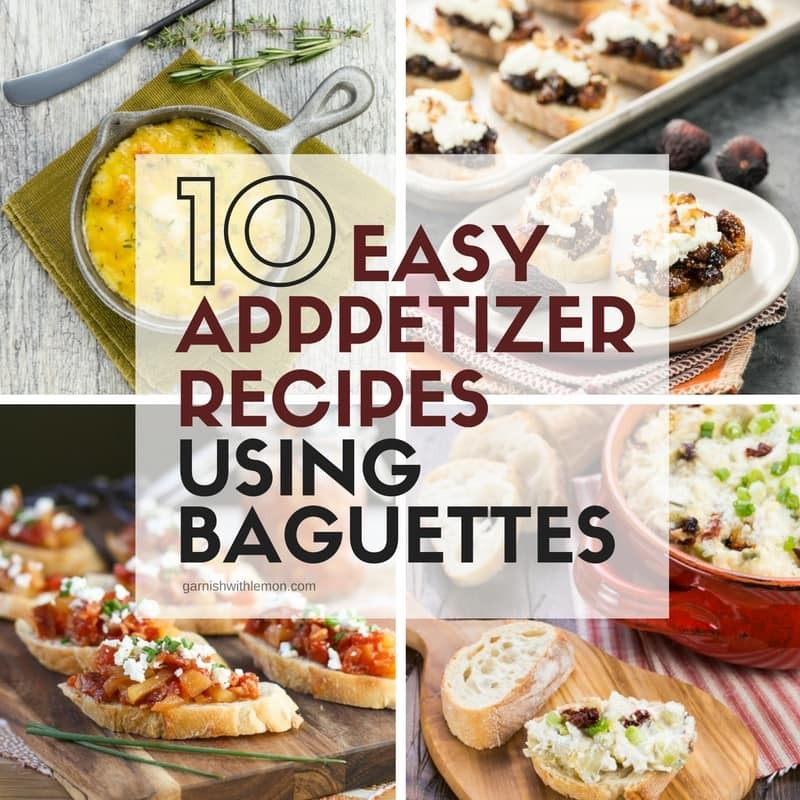 Grab a baguette at the store and whip up any one of these 10 Easy Appetizer Recipes using Baguettes! Every great party starts with great snacks. 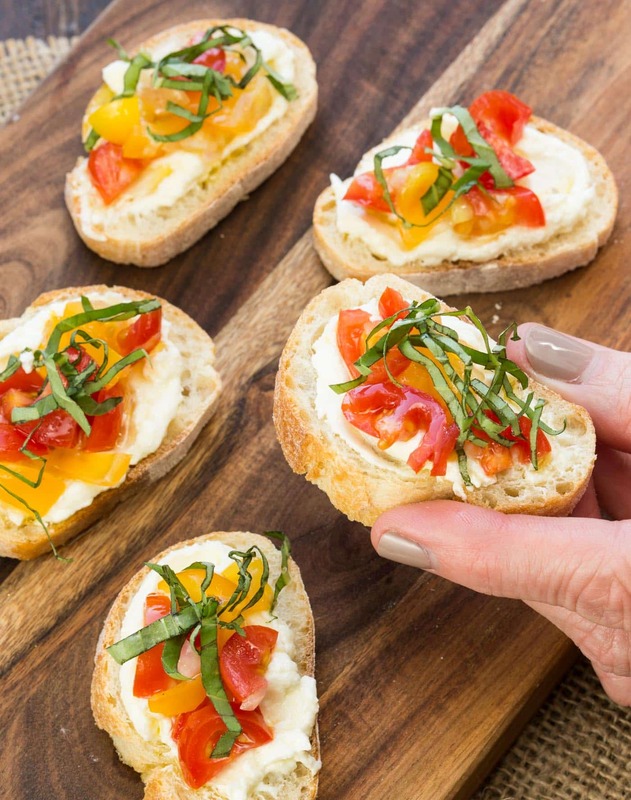 But creating a crowd-pleasing appetizer spread doesn’t have to be complicated. 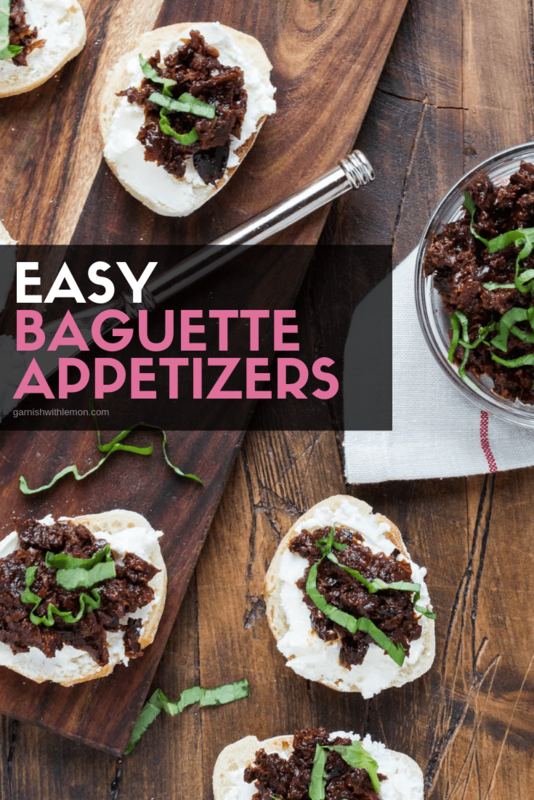 Grab a few baguettes from the store and dive into our list of 10 Easy Appetizer Recipes using Baguettes. Warm or cold, sweet or savory, there’s a tasty bite here for everyone. 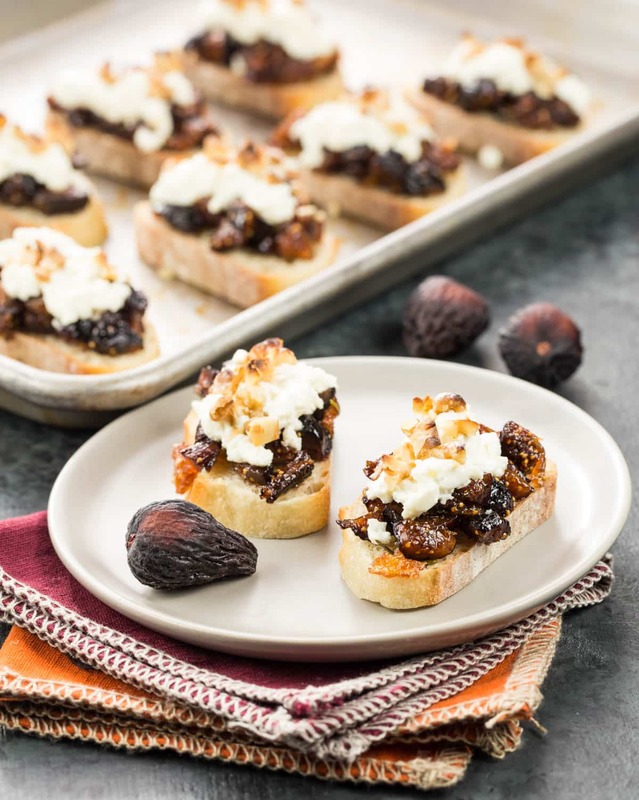 Fig and Goat Cheese Bruschetta: Figs and goat cheese are a heavenly pairing, and they get a flavor boost from fresh oranges in this recipe for Fig & Goat Cheese Bruschetta. 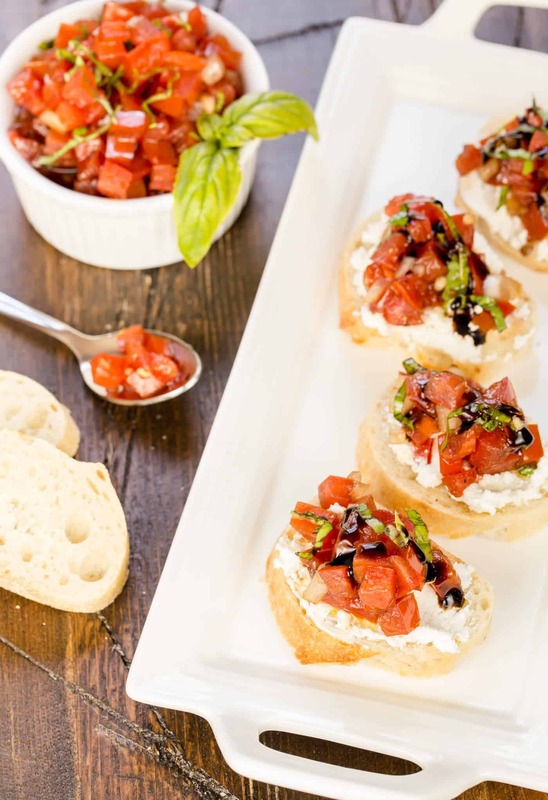 Balsamic Bruschetta: This Balsamic Bruschetta is a spin on traditional tomato bruschetta but with the tasty addition of creamy ricotta cheese. Seek out the best tomatoes you can find for this one. 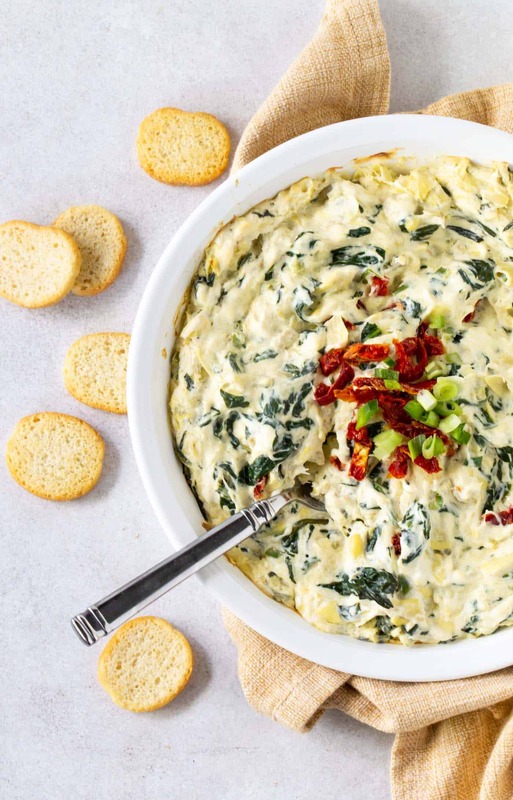 Hot Crab and Cheesy Artichoke Dip: Everyone loves a hot artichoke dip, but add some rich crab and fresh spinach, and you’ve taken a fan favorite to a whole new level in this Hot Crab and Cheesy Artichoke Dip. 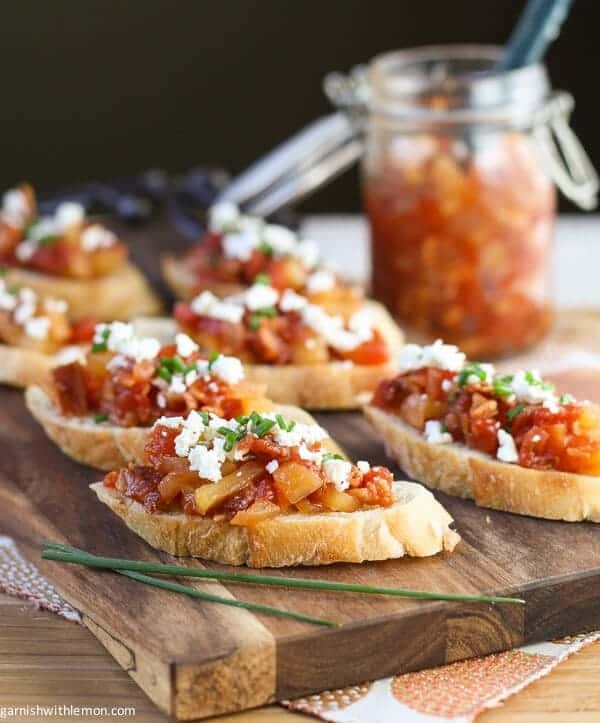 Crostini with Savory Tomato, Bacon and Apple Jam: Trust us; you’ll want to slather the jam in this Crostini with Savory Tomato, Bacon & Apple Jam on EVERYTHING!! Asiago Dip: Bonus points for this Asiago Dip which is equally delicious served hot or cold. 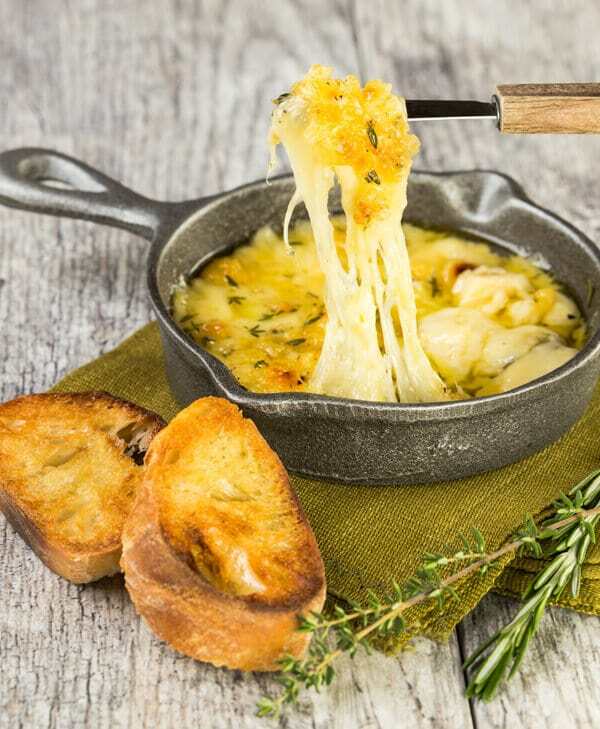 Baked Fontina Dip: Warm cheese scooped up with warm bread – does it get any better? Yes, it does, because this Baked Fontina Dip is ready in less than 10 minutes! Crostini with Whipped Feta and Tomatoes: Fresh lemon juice is blended with feta and cream cheese to give this Crostini with Whipped Feta and Tomatoes recipe its unique, delicious flavor. 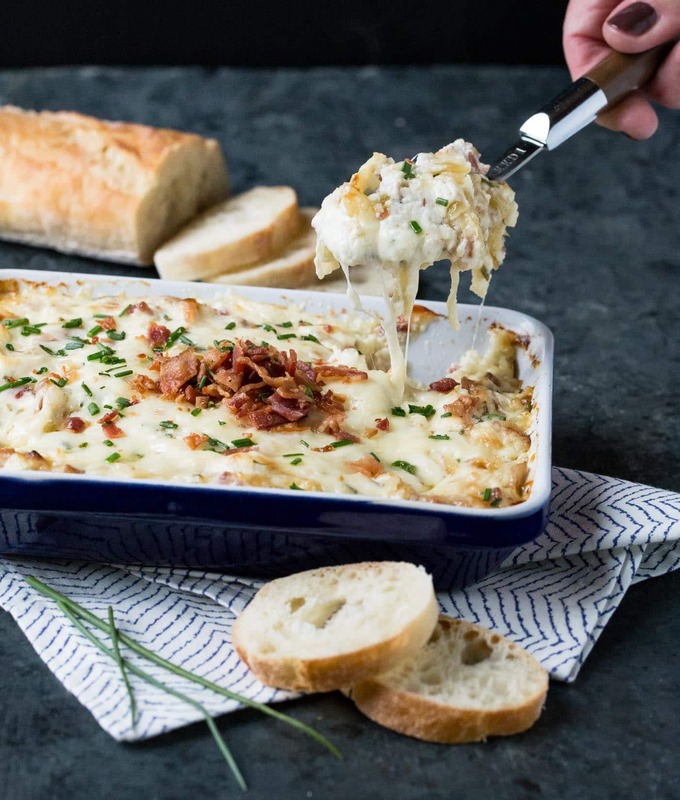 Warm Gruyere, Bacon and Caramelized Onion Dip: Calling all bacon lovers! 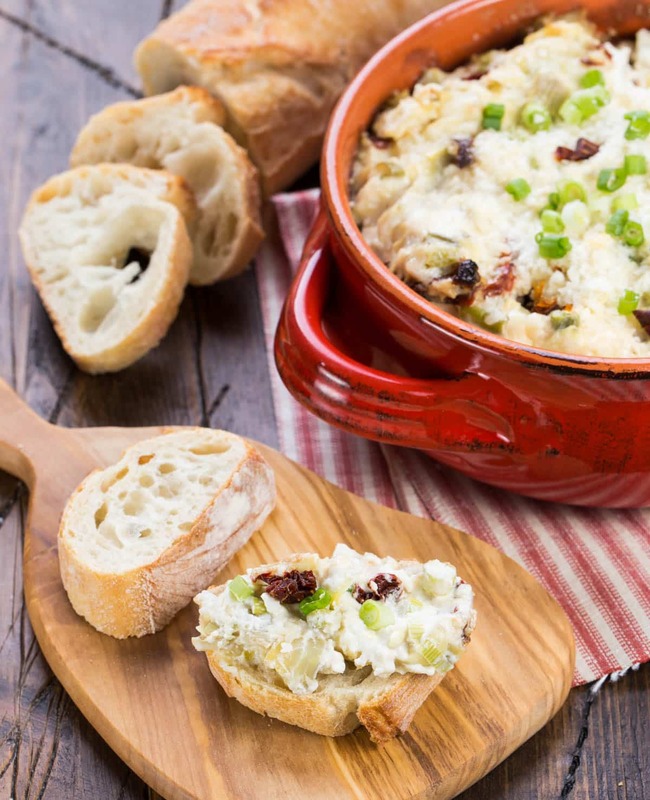 Our guests are always asking for this recipe for Warm Gruyere, Bacon and Caramelized Onion Dip. One bite and you’ll know why it’s so popular. 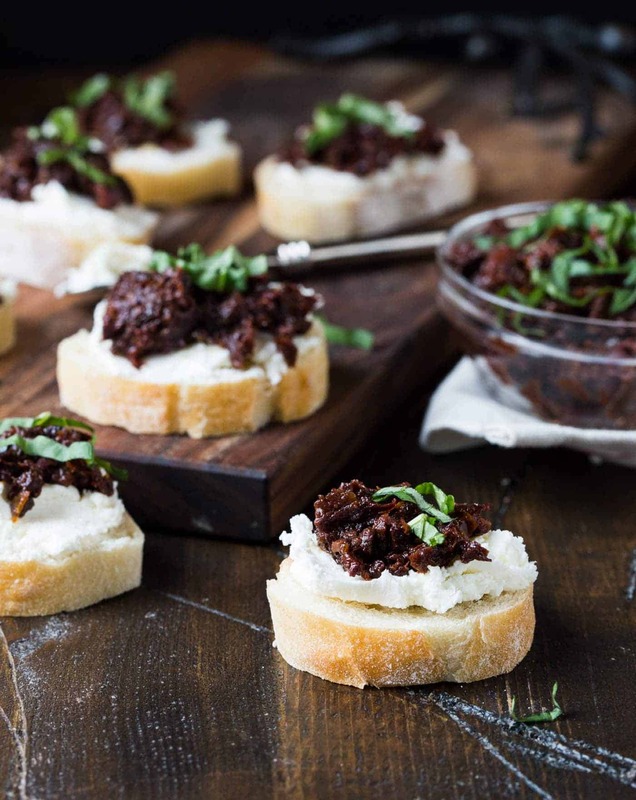 Sun-dried Tomato and Kalamata Olive Bruschetta: Most bruschetta recipes use fresh tomatoes, but this version of Sun-dried Tomato and Kalamata Olive Bruschetta incorporates sun-dried tomatoes and briny Kalamata olives for a powerful flavor punch in every bite. 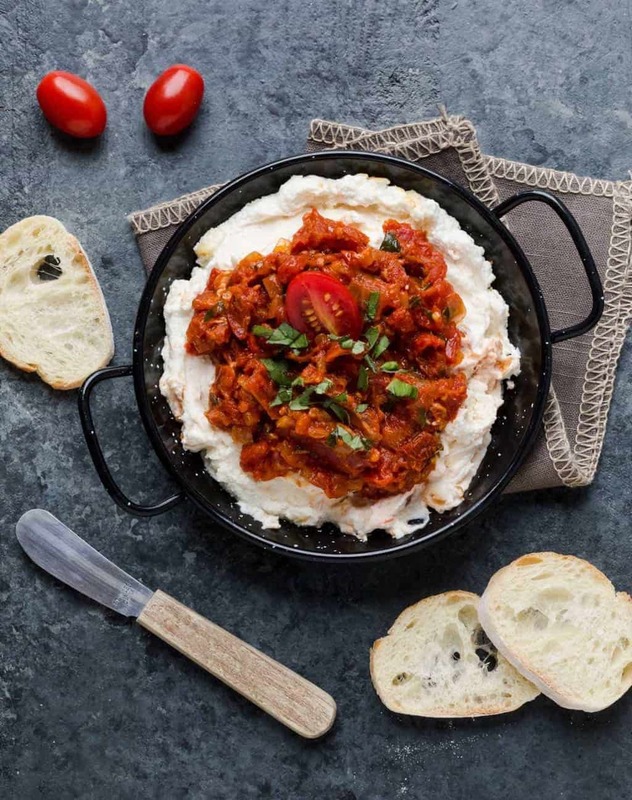 Baked Goat Cheese and Tomato Dip: This Baked Goat Cheese and Tomato Dip is basically warm, tangy goat cheese with a savory tomato bruschetta topping. Need we say more?